Nik Williamson, 31, quit his IT job to run a street food stall, only to be intrigued yet again to make a career shift after a visit to a Copenhagen café. The café served only porridge-based meals, and Williamson thought a similar concept would be a hit in London. And yesterday, the Porridge Cafe opened for business. The Porridge Cafe serves both savoury and sweet porridge options that will satisfy you from breakfast through dinner. 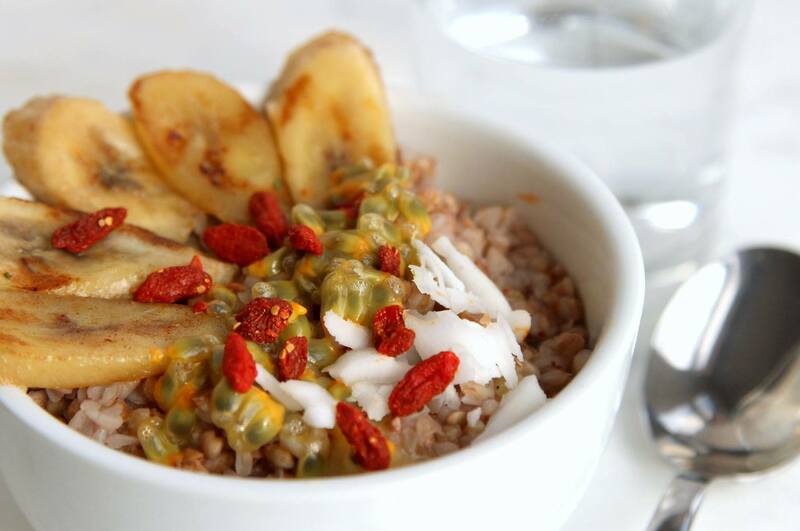 We’ll admit, porridge has never looked better. Here are just a few options to drool over that will convince you to give it a try. 1. You had us at roasted red pepper and chorizo. 2. It’s basically what porridge dreams are made of. 3. Mushrooms have never looked more appetising. 4. Healthy and delicious — what more could you want? 5. This may be the motivation we need to get up in the morning. 6. Caramelised peaches. That is all. 7. Just look at that yolk. 8. It’s clean eating at its finest. 9. Finally, a superfood-infused meal we actually want to eat. 10. Deciding what to order will be the hardest part of your day.